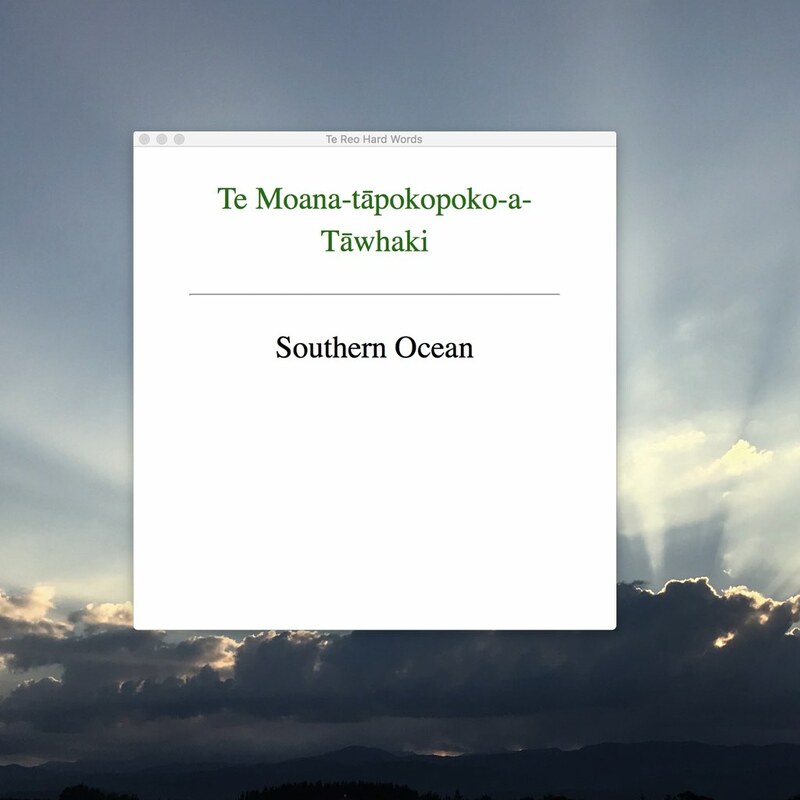 I'm using Anki flashcards to help me learn Te Reo Māori, but some longer placenames are giving me a lot of trouble. I've devised a Keyboard Maestro macro to help. 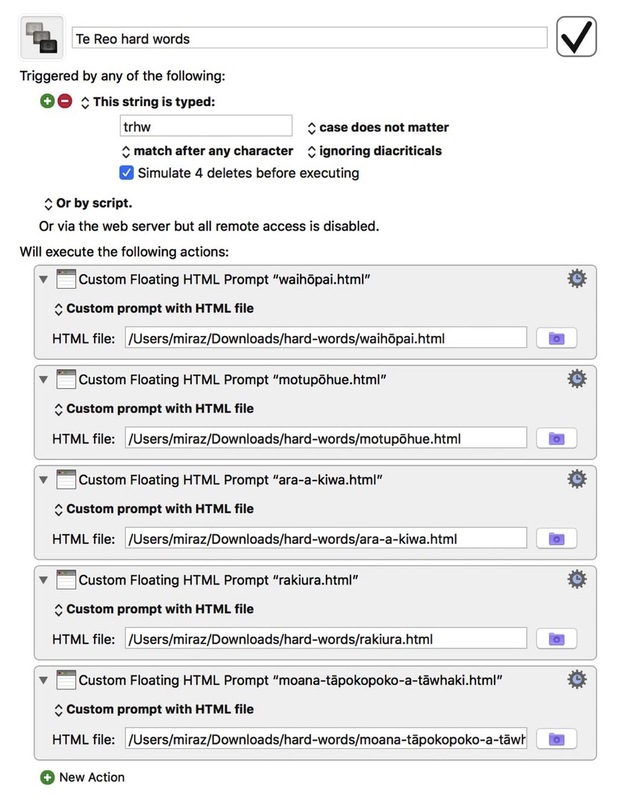 First I created 5 simple HTML files, one for each placename. Then I created a macro triggered by a few keystrokes. 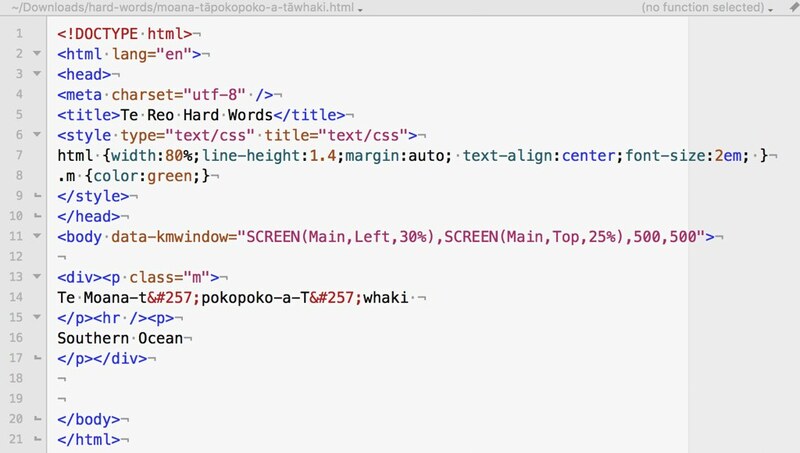 That macro calls up 5 separate HTML windows, each one displaying a placename in Māori and English. It's proving very helpful. This macro has grouped a set of geographically related placenames, some of which I find easy and one I'm struggling to learn.